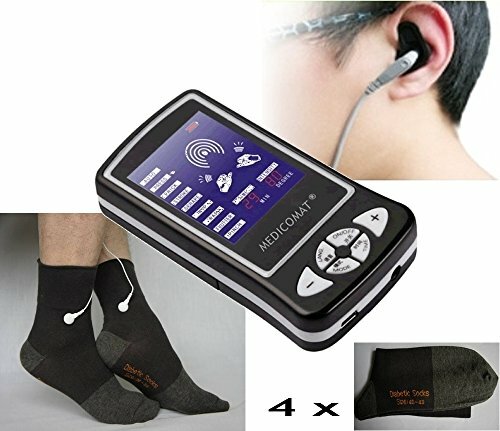 Medicomat® Medical Automat Series * THE WORLD'S BEST HEALTHCARE APPARATUS * Fully Automatic Treatment at Home * Medicomat ear acupuncture provides a fully automatic treatment for the whole body, complemented by the effects of silver ion therapy and body acupuncture massage through the conductive silver fiber socks. No experience in acupuncture is required to use this amazing new machine. Fully Automatic Treatment - Auto-selection of acupuncture points on the ear and foot. The only action user needs to take is the adjustment of the intensity of the pulse according to her tolerance.